One of my favorite events every year without fail is to attend the "Disney on Ice" show when it comes to Metro Detroit at the Palace of Auburn Hills. I think Disney on Ice shows are the closest way to experience "The Most Wonderful Place on Earth" without going to the Disney theme parks. My favorite thing about the shows is the music and my favorite songs are those from the story "The Little Mermaid." I don't care how bad a mood I am in, whenever I hear the song "Under the Sea" it always puts me in a wonderful mood. I don't know how that one song has so much power, but it just makes me happy every time I hear it. So when Entertainment New Media Network offered me the chance to review a complimentary copy of a new Legacy Collection Little Mermaid CD, I jumped at the chance to get my hands on this special edition item containing all the music from The Little Mermaid. 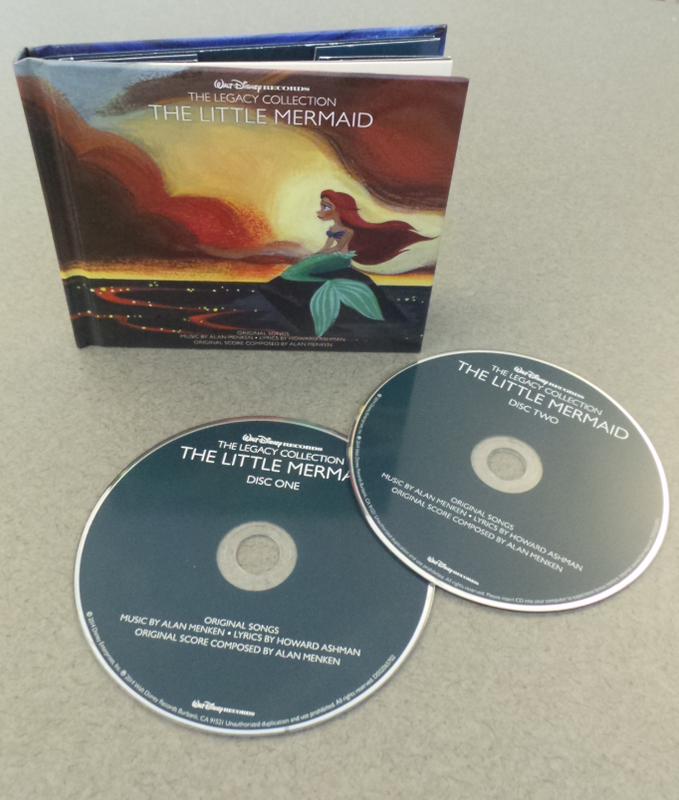 Late last year, Walt Disney Records released "The Legacy Collection: The Little Mermaid" which is a 2 Disk CD with all the music from the movie along with a special hardbound book that chronicles how the songs were developed for the movie, the lyrics, special movie artwork, and fun movie facts. 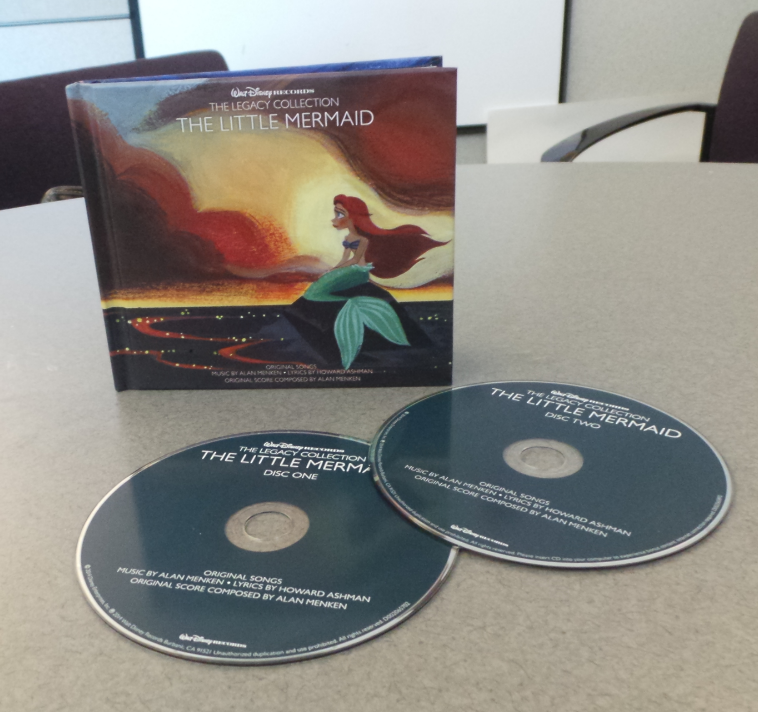 The Little Mermaid collection features the songs and score from the film by Oscar®-winning composer Alan Menken and lyricist Howard Ashman on Disc One, twelve work tapes and song demos performed by Alan Menken and Howard Ashman on Disc Two, and a collectible 20-page booklet. 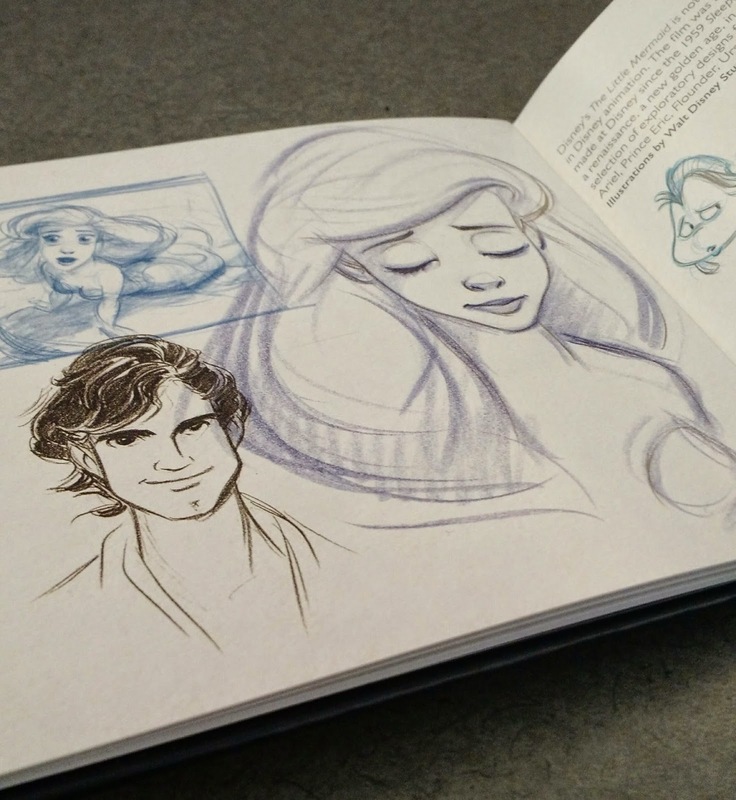 Also included are liner notes by Alan Menken, John Musker (Co-writer, Director and Producer, “The Little Mermaid”), and Chris Montan (President of Walt Disney Music). - The Little Mermaid marked the end of an era in how Disney Animated films were made. It was the last feature animated film at Disney to use traditional hand inked and painted cels. - The Little Mermaid was the first princess musical to be made at Disney since the 1959 Sleeping Beauty film. - The 9 songs heard in The Little Mermaid were written and fine tuned over a period of 18 months. - The character, Sebastian the Crab (who I just adore), was purposely given a Caribbean flavor so that the song writers could have a whole range of calypso and reggae styles to play with in the music. When I put in the first of the two CD's, I was enchanted with the musical scores and appreciated the melodies all the more after reading the background material on how it was all created. And to complement Disk One, listening to Disk Two's never before released demos and working tapes from the movie songwriters was like peeking back in time to really understand what went into writing the music that we now all sing without even thinking about it. 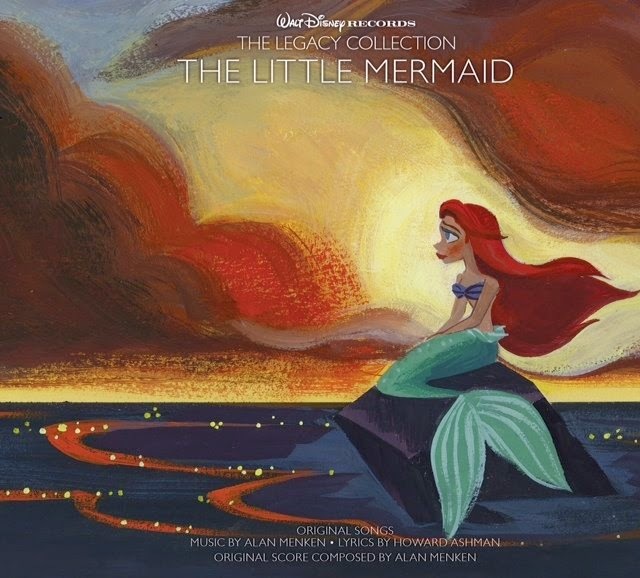 So if you are a music lover and love the songs from The Little Mermaid like I do, be sure to check out The Legacy Collection on Walt Disney Records’ newly launched site, Disney Music Emporium (DME) at www.disneymusicemporium.com. 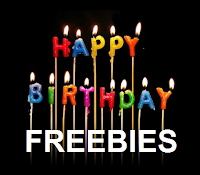 One (1) FREEISMYLIFE reader will win their own copy of Walt Disney Records The Legacy Collection The Little Mermaid - HOLLA TO THE FREE!!! 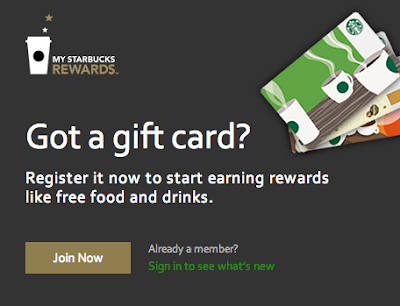 - The contest ends on Monday, January 19, 2015 at 11:59am EST. 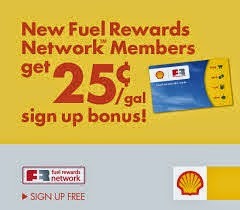 - Prize fulfillment will be completed by Walt Disney Records or their PR company. 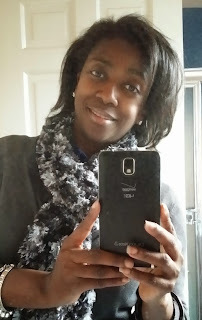 - If it comes to this blogger’s attention that the winner of this giveaway has won on an additional blog for this same prize, this blog reserves the right to choose another winner. 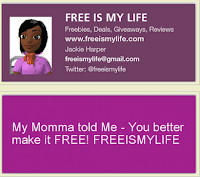 - You can get 1 extra giveaway entry for tweeting the following message on Twitter " I entered the #DisneyMusic The Little Mermaid GIVEAWAY on @freeismylife http://ow.ly/H5Cwt "
Random.org has spoken! Out of 118 entries, Random.org has picked #2. Congratulations to the winner of the Disney Records The Legacy Collection: The Little Mermaid 25th Anniversary CD Set - Torrie M. of Farmington Hills, MI!! !